Friday, December 7, 2012 ratings — New episodes: Undercover Boss, Last Man Standing, Kitchen Nightmares, Nikita, Malibu Country, CSI: NY, Fringe, Dateline, Blue Bloods, and 20/20. Specials: SNL Christmas (repeat). Reruns: Shark Tank and Arrow. Last Man Standing: 1.4 in the demo (-13% change) with 6.6 million. Malibu Country: 1.4 in the demo (-7% change) with 6.1 million. Shark Tank: (repeat) 1.5 rating with 5.5 million. 20/20: 1.3 in the demo (-25% change) with 4.6 million. 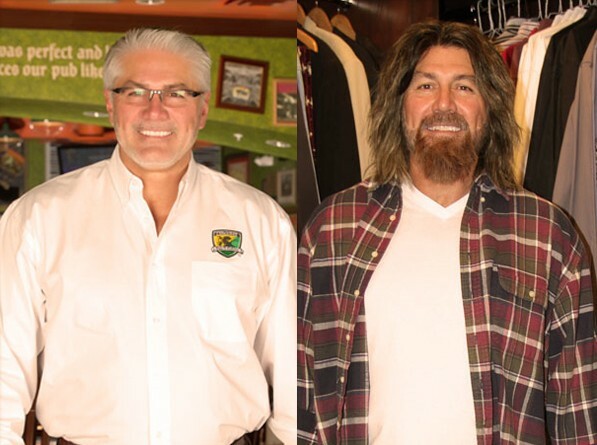 Undercover Boss: 1.6 in the demo (-11% change) with 7.9 million. CSI: NY: 1.4 in the demo (-7% change) with 9.98 million. Blue Bloods: 1.4 in the demo (-7% change) with 11.1 million. Nikita: 0.4 in the demo (0% change) with 1.2 million. Arrow: (repeat) 0.2 rating with 0.87 million. Kitchen Nightmares: 1.2 in the demo (0% change) with 3.1 million. Fringe: 0.9 in the demo (0% change) with 2.7 million. SNL Christmas: (special, repeat) 1.5 rating with 4.4 million. Dateline: 1.7 in the demo (+35% change) with 5.7 million. I hate the changes they made to LMS, however, this weeks episode was the best of the season. Kyle back and funny, Tim Allen doing his old dad routine with the kid. I didn’t hate the newest daughter this episode as much although the dad was still a weak character. Please for all that is HOLY, do not have the middle daughter get with Kyle!!! Fringe & Nikita have consistently low numbers, so why is Nikita still around? I do like both shows though. You place way to much emphasis on demo numbers (although I do commend you for giving the real ratings as well). Contrary to what NBC would have us believe, they don’t give out viewers under 18 for free (nor those over 49). Demo numbers are only helpful for PR spin when you want to make people believe, like NBC that being #4 is really being #1. Sadly, this also prevents NBC from actually improving as its endless demo spin has taken it from 18 million viewers to six in about ten years. As I’ve written to you before, advertisers typically place the most importance on the 18-49 demographic so that’s what the major networks focus on attracting. That’s why ads cost more for a show with better demo numbers than higher total viewers. We may not like it but that’s reality. Undercover Boss, Last Man Standing, Malibu Country, CSI:NY and Blue Bloods are my friday night. Grimm when it comes back will be included. Too bad they ruined Last Man Standing with all the changes they made.